M. W. Truck Parts boasts an extensive range of truck fuel tanks which are available to purchase online or by phone. We have used fuel tanks for Scania, Volvo, Mercedes, IVECO, DAF and MAN trucks which can be used right away. 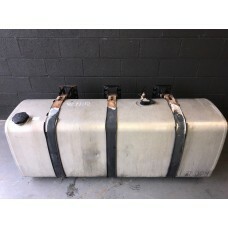 The fuel tanks we sell vary in age and condition. However, we only sell working fuel tanks, so you can be sure you’re getting value for money with us. 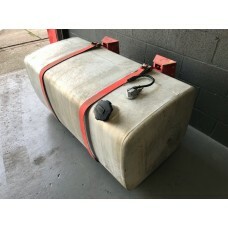 Most of the fuel tanks we sell have cosmetic damage but are structurally sound with good overall condition. Aluminium tanks are hardy and will not rust over time, unlike some older steel tanks. In addition to fuel tanks for diesel, we also sell tanks for AdBlue. For example, we have AdBlue truck tanks available for the Volvo FH / FM Series. Pleases note that these are not interchangeable between truck models, so you will need a specific part. Truck fuel tanks are available in varying litres. We always recommend buying like-for-like replacements. 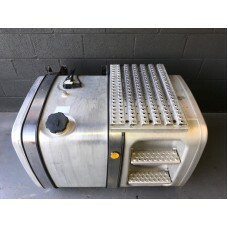 Most of the truck fuel tanks we sell have a key, but some do not. We always accurately describe our products, so you know what you are buying. All the tanks we sell come with a 30-day guarantee with a free repair or replace policy on faulty goods. 480 Litre Diesel Fuel for MAN TGAO/E MAN part no. 81.12201-5702..
ERF ECM Approx. 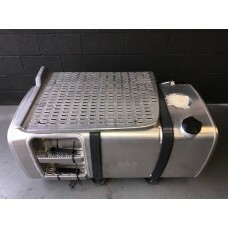 350 Litre Steel Diesel Fuel TankApprox. dimensions: 106cm length x 68cm width inc Br..
Mercedes 1820 Reserve Diesel Fuel TankYear: 1992Part No: 617 470 0001..
Mercedes 814 Plastic Diesel Fuel TankPart no. 616 470 00 01The tank is complete and in decent condit..
Mercedes Atego 815 Diesel Fuel TankYear: 2002No filler cap includedPart No. 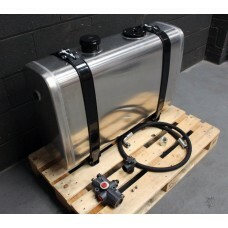 A970 471 0001..
New Hydraulic Tank Aluminium 190 Litre Valve, Pipes & BracketsTank Dims: 105cm Length ..